Hamad airport is 13km south east of the city centre and the easiest way into town is in a turquoise Karwa taxi. Doha also has a cheap and efficient bus network and buses run from the airport to the city centre once an hour throughout the day and most of the night. If you are travelling around the city by bus, you can buy a smart card that gives you unlimited travel, these are available for retailers around the city, such a petrol stations, or from the main bus station in Al Ghanem. 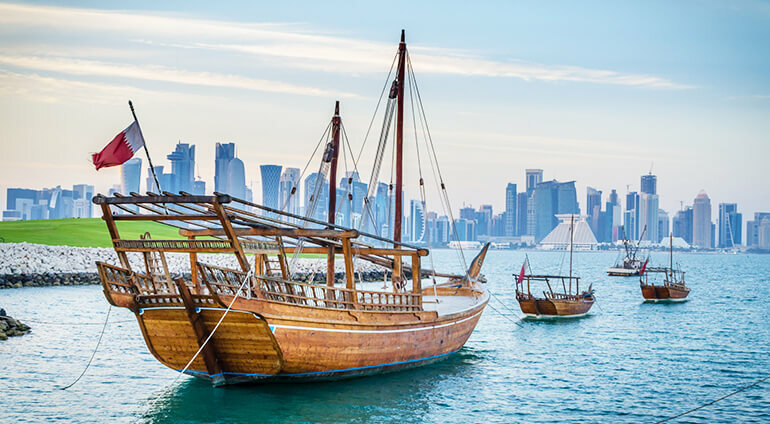 Many visitors to Doha chose to hire a driver and there are plenty of private taxi and limousine hire companies to choose from.